Many women approach birth with anxiety and fear. These Birth Workshops give you effective tools to cope with the intensity of labour, and to transform your birth experience into an empowering, even enjoyable experience. These workshops are a day for you and your birth partner. Birth partners are best able to help when they have an understanding of giving birth. This practical workshop helps both of you know what to expect, what you can do to help, and what to avoid… for your birth, your relationship, and your baby. At the workshop you will recieve a thorough handbook with vital information you will need for birthing your baby. It includes information on optimal fetal positioning, when to go to hospital, speeding labour up, slowing labour down, massage techniques, positions for labour, using a birth ball and babytime. 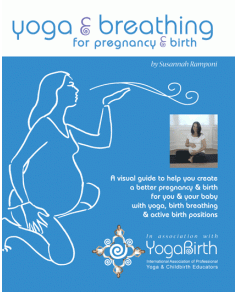 Susannah has completed the ‘Couples Birth Preparation’ Module with YogaBirth, as well as the YogaBirth teacher training. This gives her an indeptth understanding of pregnancy and birth. She has been teaching these courses since 2009.